This strategy is generally used when demand exceeds the number of core positions needed to accommodate minimum production goals. Now would be a good time to call Green Arrow, we’ve got the right stuff. In this case that would be qualified, pre-trained, non-core staff on a temporary/contract/project basis. Using our short-term/contract staffing also saves you the trouble of layoffs and unemployment after the extra help is no longer needed. It’s kind of like buying a new car. You wouldn’t spend all that money without test-driving it first. So why would you want to permanently hire a new employee without seeing how they perform on the job? Green Arrow has resource specialists that recruit employees who meet your company’s standards and qualifications. 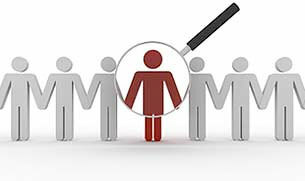 Hiring the right person the first time saves your company the time and expense that comes with advertising, interviewing, and possibly, hiring the wrong person. Contract-to-Hire gives you the chance to take your potential new-hire for a spin. When the contract ends, companies have the option to hire the employee, or move on to the next. Let’s get down to business. Your business is our business and business is business. If your business is booming and you need a little more than traditional staffing, Green Arrow offers a customized program that focuses on the recruitment, performance, and success of the non-core workforce. We make it our business for this program to include matching specific candidates to company requirements for permanent employment within client companies. In addition, this program integrates Green Arrow as a business partner to your business, once again making it our business to increase your business’ profitability….which makes Green Arrow more than just a service provider. If we say “business” one more time (which we did) that makes twelve times in one paragraph.